Rabbit kits born in dirty hutch! I have four rabbits that all live together in three conjoined hutches and both does were pregnant. The first doe kindled yesterday so I've separated her from the others (she can still see them in the next hutch) but she kindled earlier than expected and right in the middle of their toilet area! I only found them when I came down to clean the hutches out. With there being 4 rabbits, the area was really mucky after a week and I'm concerned about the kits' health. I've cleared out all the dirty bedding from around them but not under them as I wasn't sure whether to move them. My partner thinks I should leave them be but my question is, should I really clear all the dirty stuff out? I read that you say it's ok to handle the kits if the doe knows you but I don't want to do anything wrong!! The other doe who hasn't yet kindled has already had a litter and none survived because it was cold and I was told not to interfere with them, so I don't want more dead babies! Incidentally the doe in question is quite placid and I do handle them all most days (although they run away from me!) but she seems quite nervous right now. 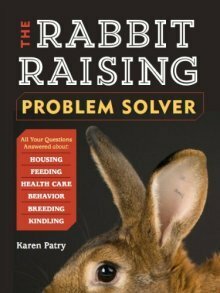 Comments for Rabbit kits born in dirty hutch! Yes, do pull the bunnies out and clean up the nest! Can you save any clean fur for lining a new nest? If you need more, try brushing the doe's coat--you might get a bunch of loose fur from her coat to cover the kits with. While you're at it, do you think you could locate the nest a bit away from the toilet area? We're fairly confident the doe will find her babies wherever you put them. Also, not to worry if the doe doesn't hover over her nest -- you know she only visits her kits a few minutes a day to feed them. So, in the morning you'll find fat round tummies on the kits and you'll know the doe is doing a great job with mothering her babies.